The last few weeks have been a bit hectic, so we've got plenty of news and info to share with you. First of all, if you haven't seen it yet, Cochrane Crowd has posted about about our joint webinar and the #MedLitBlitz. If you missed the webinar or had technical difficulties/time zone issues with it, it's available on youtube. The prize packages for the top three participants of #MedLitBlitz are packed and will be shipped either today or early next week (depending on whether or not shipments have been picked up for today or not). Secondly, Mark2Cure was at the Citizen Science Association conference from 2017.05.15-2017.05.20, and was fortunate enough to share about YOUR work to an audience of scientists who LOVE citizen science! 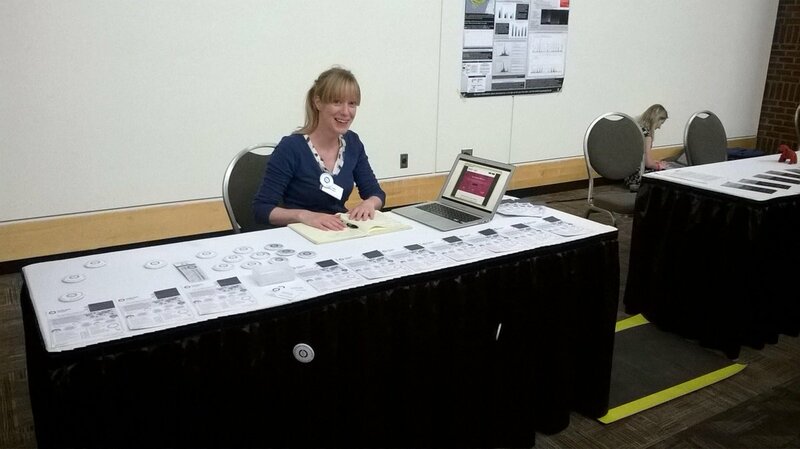 More than a few researchers stopped to introduce themselves to me and spoke highly of our community! Although it's always weird to hear a recording of your own voice, I recorded my presentation because it wouldn't be fair to talk about the amazing work you've done without sharing it with you! You can find my presentation for the biomedical session in our youtube channel. On a side note, I know the audio quality isn't the best which is why I've transcribed it using youtube's captioning software. If you have trouble hearing the presentation (because of the poor audio quality), please turn on the closed captions. 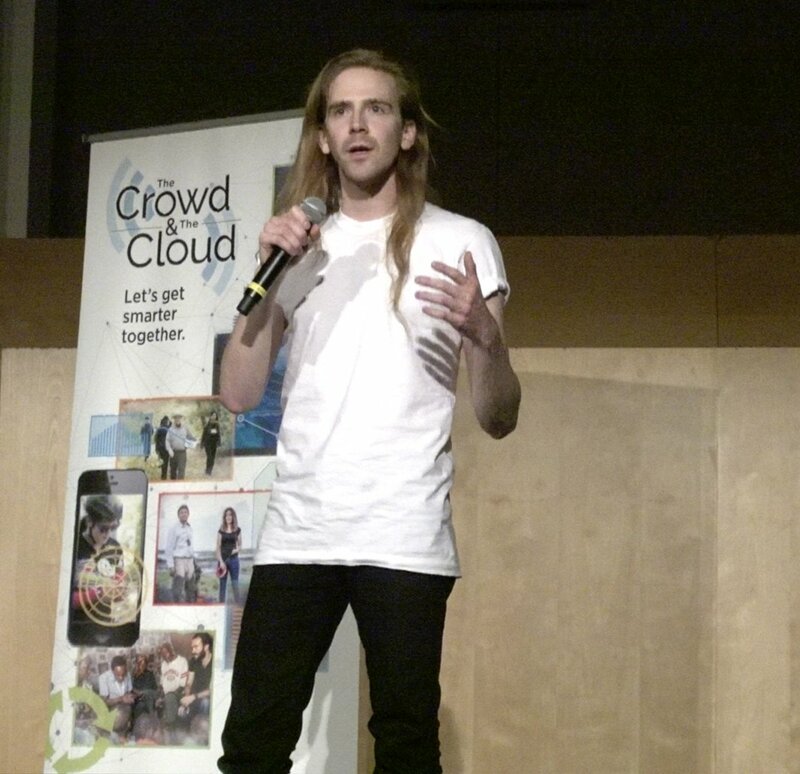 Max also delivered two lightning talks for the event, which I hope to upload soon. 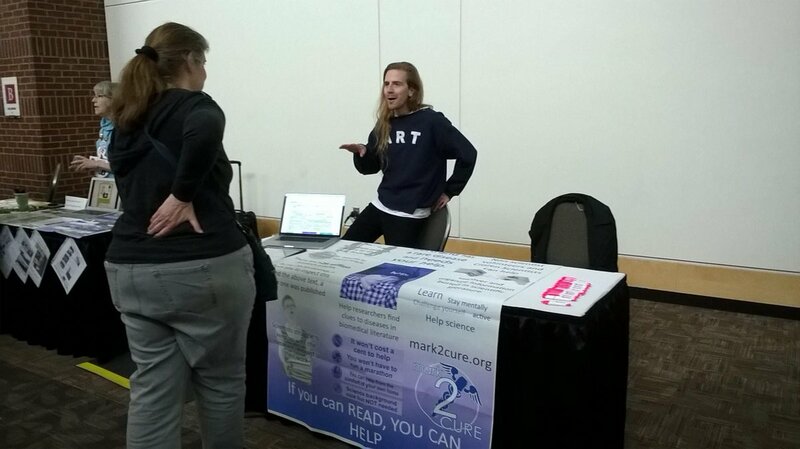 In addition to the talks, we had a poster for Mark2Cure and a table at two public events. Lastly, it looks like one of the missions was completed just as I was settling back in after the conference. A HUGE thanks to everyone that helped complete the carpingly mission. A new mission has been launched in its place, so check it out if you have some free time.